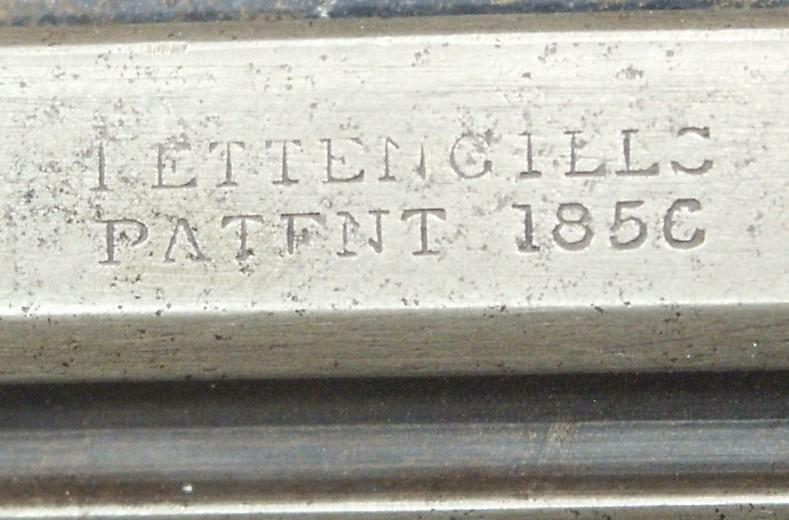 C.S.Pettengill of New haven, CT patented the revolver the 22.7.1856 under the n° 15.388. The production was initially entrusted to Rogers & Spencer of Utica, NY, by a group of investors. The revolver exists in calibers .31 and .34. After a few times, as the investors appeared insolvent, R&S took again the patent and the production on their account. July 27, 1858, of the improvements were brought and patented under the n° 21.054 per Edward A. Raymond and Charles Robitaille, of Brooklyn, NY. Their patent was for an improvement of the principal spring. The Pettengill revolver is with double action only, and always has an interior hammer. It would be necessary that I seek front, but in any case the army had signed a contract for 5.000 of these revolvers, of which - apparently - only 2.000 were delivered, including 377 in 3rd Michigan Cavalry Rgt (inventory of the 31.3.1863), later R&S produced their famous .44, which resembles Remington and arrived too late, the American Civil War being almost finished. 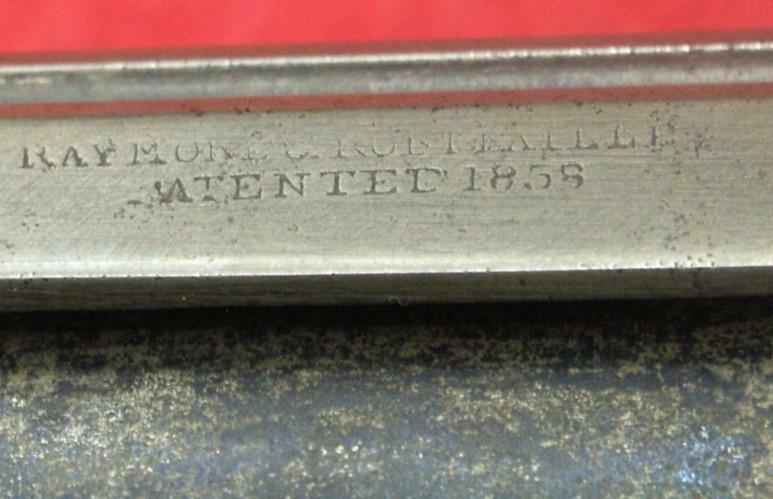 This one is thus after 1858, since it is marked “Raymond & Robitaille, patented 1858”. This revolver was appreciated soldiers for his handiness, its precision and its fast shooting.